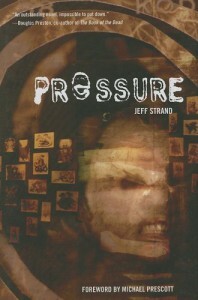 Jeff Strand is one of those authors that I can generally pick up any of his books and know I'll enjoy it, but not this time. It may have something to do with the fact I was still recovering from reading Ring, but I just couldn't get into Pressure. There's nothing I can even point to and say this is why I didn't enjoy it. It's most likely a case of right book, wrong time. For now I'd rate it three stars.